Since 1982 Sadaf Foods has produced delicious and quality food products. After the successful introduction of the two Special Tea Blends. 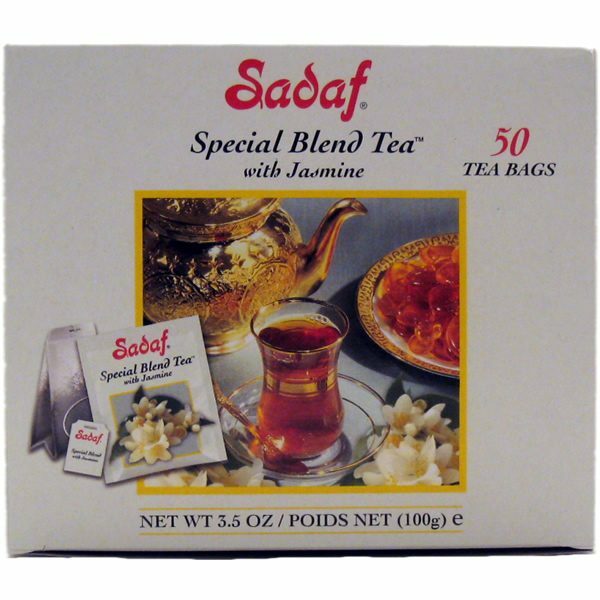 Sadaf is now introducing Sadaf Special Blend Tea with Jasmine. A refreshing blend of exclusive quality tea, enhanced with Jasmine Flavor. Relax and enjoy the comforting taste of this delectable blend at any time of the day, particularly in the afternoon.